Freedom Watch - Cybermation Inc. The safest, most secure way to keep track of your loved ones who wander. The watch LOCKS on the wrist of the person, and has incredible battery life! The urge to wander can be a problem for these adults, and the Freedom watch contains a location tracker, panic button, and the ability to be locked on the wearer so it cannot be inadvertently left at home or removed. Freedom offers two different, yet equally effective, ways of keeping track of your loved one. When your loved one is inside, the home base unit keeps track of them, alerting you if they travel outside the safe zone that you have set. For on the go, the portable receiver can be carried around with you when you leave your house, and safe zones can be set up to 100 yards away from the receiver! A wristwatch incorporating a locator with lockable strap, a portable receiver, a strap release key, a charger base, a USA power adaptor and a quick-start guide (QSG). All packaged together to offer a PAL to families and communities. Many people prefer to pick up the phone and talk to someone, rather than going online. With PAL, you can do just that. Simply call our Tech Support Service at 1-888-423-1887 ext:2. 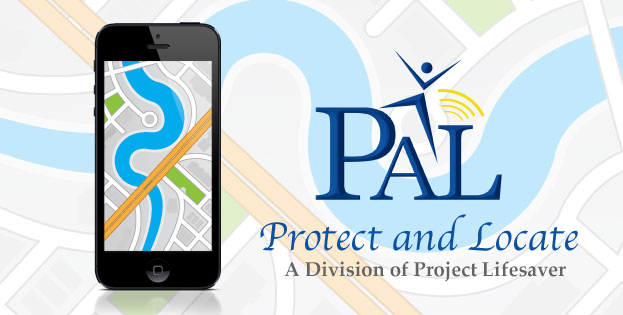 If you prefer, you can register or update PAL online through our simple-to-use, secure website. All you need is an internet-connected device. Should an emergency arise, SMS (text) and email alerts are automatically triggered.